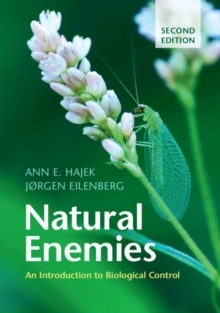 This second edition of Natural Enemies will give students, professionals, and anyone wishing to learn the basics of biological control a fully updated and thorough introduction. The book discusses the huge diversity of organisms used in the control of pests, weeds and plant pathogens, and compares the many different strategies referred to as 'biological control': the introduction of exotic natural enemies, application of predators, parasitoids, and microorganisms as biopesticides, and manipulation of the environment to enhance natural enemy populations. The authors present the ecological concepts which form the bases of biological control and discuss recent changes to make biological control safe for the environment. Case studies are included throughout, providing in-depth examples of the use of different organisms and strategies in a variety of ecosystems. A new chapter covers the current challenges; the impact of climate change, the problem of invasive species, and how biological control can aid sustainability.